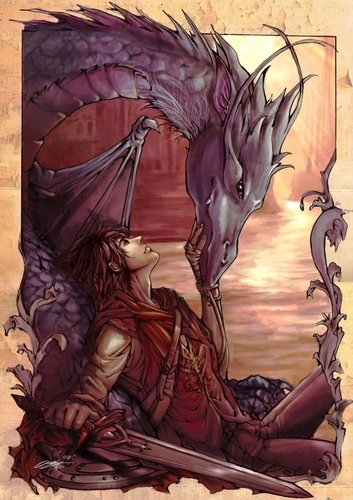 Eragon and Saphira. All credits go to brilcrist (Deviantart).. HD Wallpaper and background images in the Eragon club tagged: eragon saphira brilcrist. This Eragon fan art contains anime, comic kitabu, manga, cartoon, and mkono. great, except Saphira is blue. Do you know the name of the artist? I love this!